Dunsmore Living Landscape is a new scheme which was awarded over £1 million in February 2017, following a successful application to the National Lottery’s Heritage Grant fund. 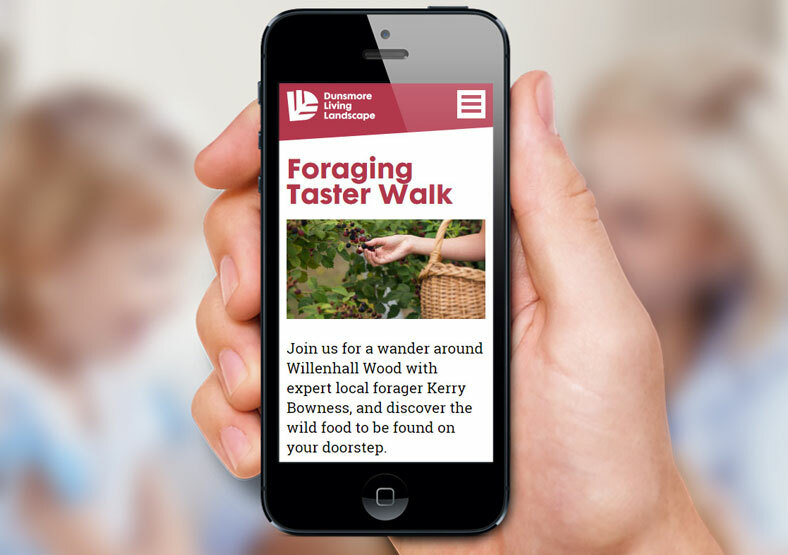 Managed by the Warwickshire Wildlife Trust, it aims to encourage people in Coventry and Warwickshire to get out into the local countryside and find out more about the heritage and wildlife on their doorstep. 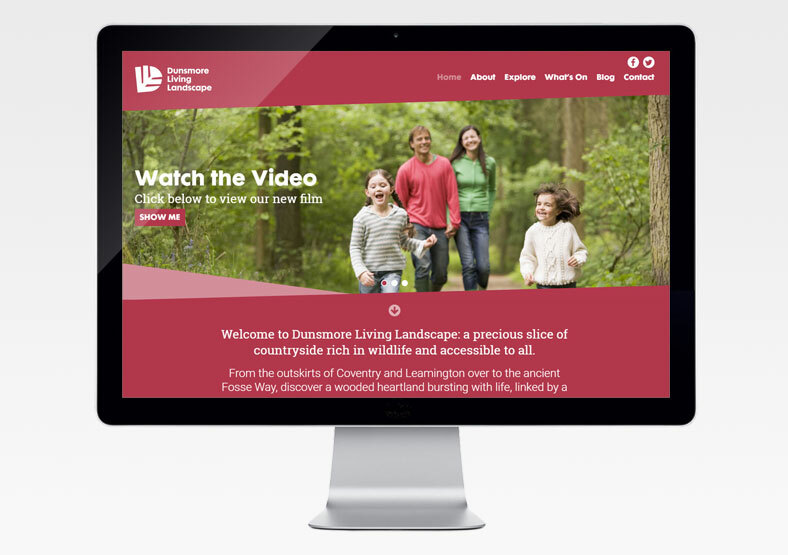 The Dunsmore Living Landscape scheme needed a website with a Content Management System to allow scheme staff the flexibility to upload material. We recommended using WordPress. 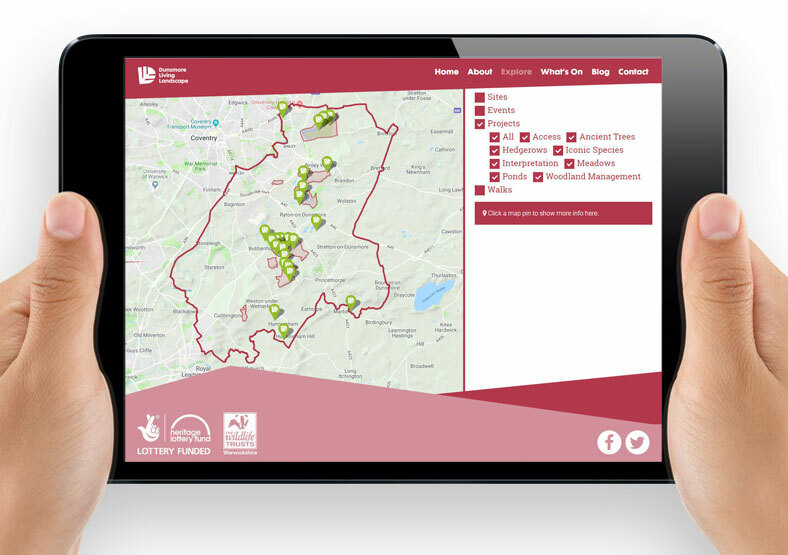 The brief was to allow website users to explore and discover information about the scheme, encourage landowners and communities to take up funding opportunities, encourage users to engage in activities within the scheme area, act as a point of information for existing volunteers, and recruit new members and volunteers. 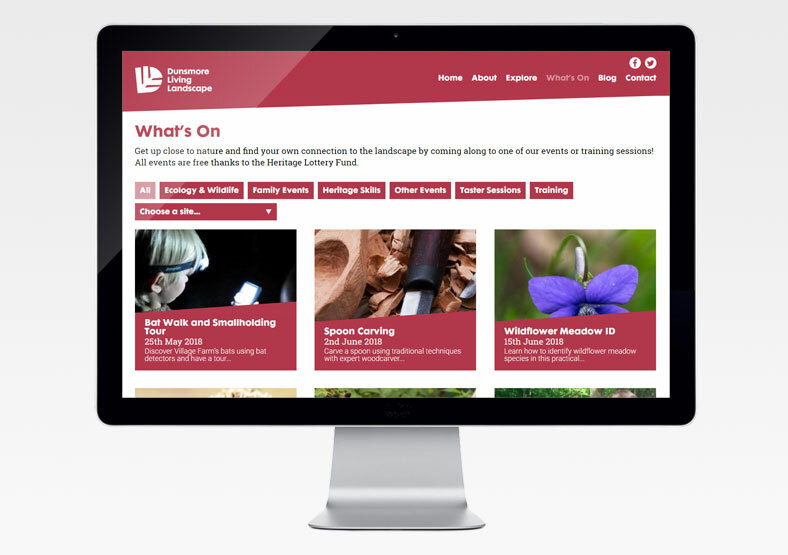 We designed and built an visually uncluttered but high impact website, including a 'What’s On' page of events and activities linking to an existing booking system; an interactive map of the scheme area that allows exploration of the landscape; facility to upload video footage, 360 degree tours, images and documents; and a blog section. The website gained over 1,000 visits in its first week of launch, and continues to be a valuable platform for scheme staff to share information, promote events, and increase membership.